Throughout the ages there have always been “solutions” for hair loss, but up until recently and with the introduction of hair transplants, none of these methods have been permanent solutions. Hair Transplants in the 1950s were the first of these permanent methods, and although primitive compared to today’s FUE procedures, they were a godsend for those suffering from hair loss. Who knows what the future will bring to those suffering from hair loss, but rest assured that the demand from patients will provide incentive for doctors and pharmaceutical companies to come up with a solution. When did the first Hair Transplants become a solution for Hair Loss? As with many medical issues, solutions are sometimes found through unintended consequences. Take for instance Viagra (sildenafil citrate), which was initially used to help with high blood pressure and angina but proved to be effective for erectile dysfunction. A boon for the developer Pfizer, this drug came to revolutionize how erectile dysfunction was treated. Hair transplants, although not really in the same category as erectile dysfunction, came to be through another type of patient and procedure. Dr. Okuda who was a Japanese dermatologist in the 1930s, worked with serious burn victims. Those who experienced burns on their scalp and lost hair were the first patients to receive a type of hair transplant. Dr. Okuda would use a sort of punch technique to extract the hair root attached to skin and implant it into the part of the scalp which was burned. He noticed that after a period of time, the implanted hairs would become permanent and would continue to grow as the original hair. It was not until the 1950s when this transplant surgery was used as a method for hair loss in male patients. Dr. Norman Orentreich was the first trained physician who used the hair transplant technique in New York City, although the time ait was still not considered a viable solution. After further research and more patients, a 1959 report confirmed that this hair loss solution was viable and that there were many benefits to this procedure. His theory was called “Donor Dominance” which posited that hair on the back and the sides of the head was in most cases not prone to balding and could be used as the donor area. When was the start of Hair Transplants becoming popular? As with all new medical procedures, there is a period in which doctors and patients need to become experienced and accustomed with these new methods, and in this pre-Internet age, it took time for the word to get out. Although the procedure of implants and donor areas took off, there was still much to be desired on the cosmetic end of the spectrum. 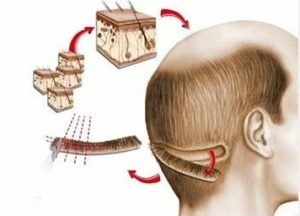 The first real transplants were known as “hair-plugs” which would take an area of the scalp, about the circumference of a pen, and would be punched out of the back of the head and implanted into the balding scalp. The result was not as natural looking as the original hair and looked more like “corn-rows” than anything else. The implants were successful, although the process had to be more refined. It wasn’t’ until the mid-1980s, when Mini or Micro-Grafting become a successful technique, that more men started to undergo a hair transplant procedure. This method used smaller cuts which usually came from a strip of the donor area which would be implanted offering a more natural look. This technique worked very well in creating a more natural looking hair line while for those losing hair in the front of their head. Doctors were slowly giving patients a more natural look although it still wasn’t the last step. These techniques still required an amount of skin/scalp for the follicles to grow, and when implanted, still were not as seamless as the patient’s original hair. When was the big leap to the FUE/FUT/FUSS technique? 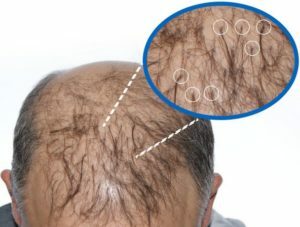 With implanted hair successfully growing in the newly implanted area of the scalp, it would only be a matter of time before a technique for individual donor follicles would be introduced. Follicular Transplantation was introduced in 1995 by Drs. Rassman, Seager and Bernstein, which revolutionized the modern-day hair transplants for men suffering from hair loss. This revolutionary procedure called the Follicular Unit Hair Transplantation (FUT) became what many saw as the panacea for hair loss. With the introduction of special magnification devices, the surgeon was able to extract follicles in groups of 1, 2, 3, and 4 which would then be implanted into the donor area. With individual follicles instead of groups, there was no skin attached to the hair which would enable a more natural looking implant. In many cases the head of the patient is shaved so that the surgeon can identify the individual follicles for extraction and donation. This affords the surgeon many options as to where to place the follicle and to create hair lines which duplicate the original look. With just the follicle needed, more hairs can be implanted into the head and create a seamless transition from the natural hair to the implanted hair. The FUE procedure has developed in not only its application but also in the techniques and devices used. These are adapted to speed up and simplify the process while improving the results. One of these is the FUE Safe System which up until know is only used by a few skilled surgeons. To operate the system a doctor needs to become certified with the device while becoming highly skilled in its use. 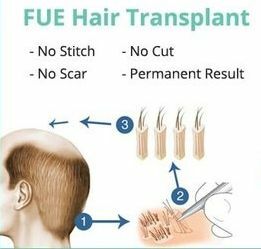 The FUE Safe System is a hand-held device which uses a blunt punch which when implanted into the scalp will, with care, extract the individual hair follicle. The technology of the Safe System is that when inserted into the scalp will slow down so as not to damage the area around the follicle. This significantly reduces the trauma to the scalp and follicle, affording a better outcome for the patient. This also minimizes scaring to the scalp and gives the patient the option to wear their hair very short. 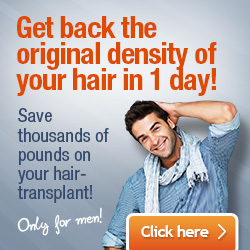 Cost of hair restoration has become more and more affordable. What is the future for Hair Transplants? 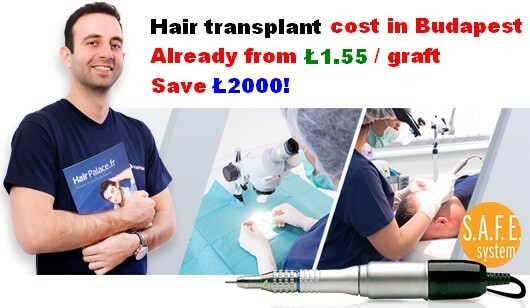 I’m confident that every time a new Hair Transplant method was introduced, it was touted as the “gold-Standard” and last of the hair transplant methods. But as we have seen with many medical procedures and techniques, something new is always around the corner. With technology and medication as it is, transplants could be left to the dust bin of history with the creation of a solution or drug that grows hair. This is not much of a leap as Pharmaceutical Companies are always looking for way to increase their profitability. With men being men and their looks being a priority, it is highly doubtful that the FUE SAFE System will be the last of hair transplant or hair restoration options.